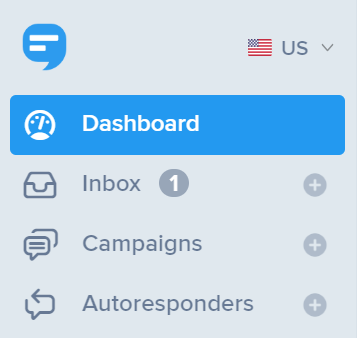 Whether you want to reply to a question or start a conversation, we've got you covered with two-way messaging in the Inbox. In order to start a conversation with a single contact, click the blue icon next to the search bar and type the contact name or phone number into the field, "Name or Phone Number...". Type or paste your message into the message box at the bottom of the page, labeled "Your message..." and click Send SMS. You will even have a notification appear next to your Inbox icon when you have received an incoming message. With our iPhone and Android apps, you can receive push notifications when you receive a message as well. For more information on how you can have your Inbox messages forwarded to your cell phone via text or email, click the button below!